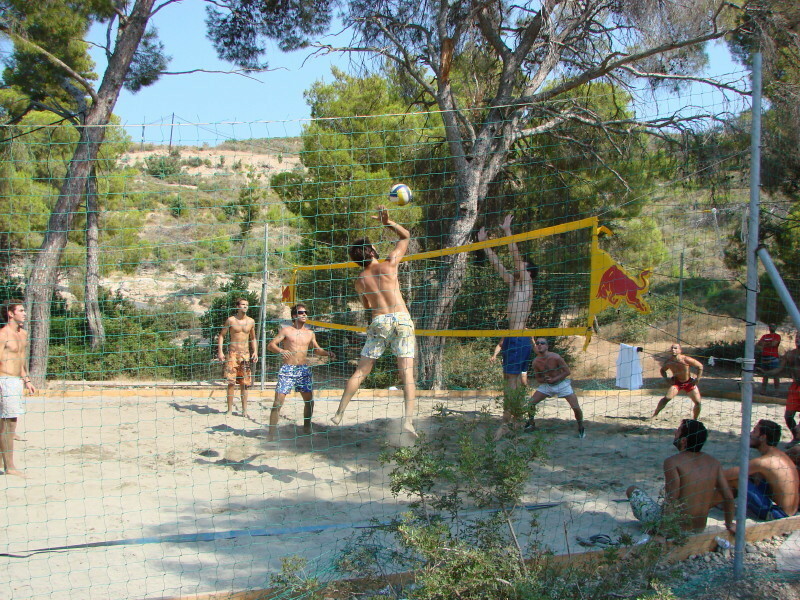 Vrelos Beach is the party beach. 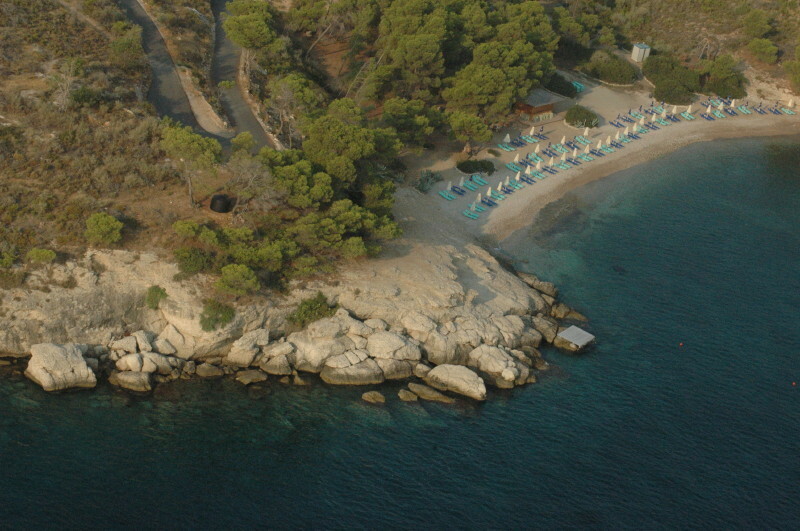 A small natural bay, with a great club atmosphere, terrific social scene and good diving. Now that the road has been re-surfaced, it makes for an easy ride or walk down from the top main island road. 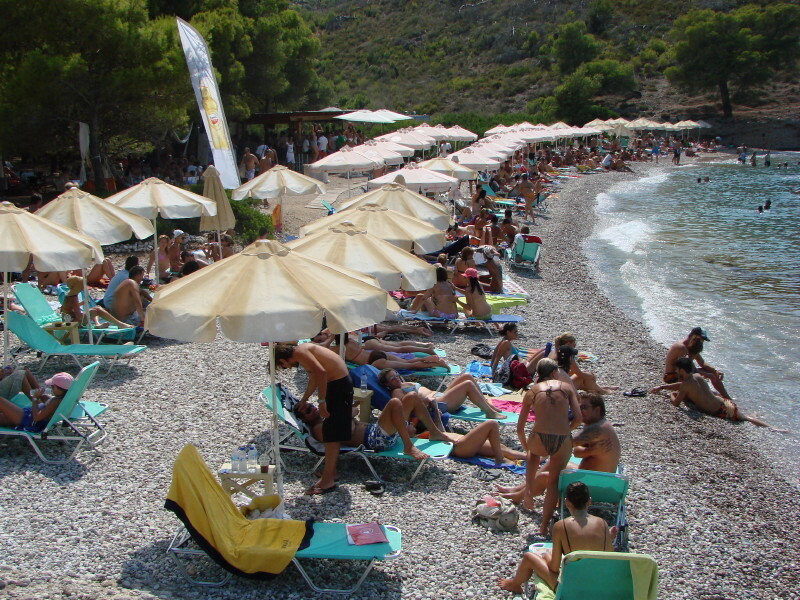 Very popular with the young, this beach is particularly busy at weekends and holidays. There is a very busy beach bar and hammocks swinging in the trees near by. There are often live performances in the summer, so look out for posters advertising what's on. Getting to Vrelos: by bus from Poseidonion jetty; moped; bicycle; car taxi, water taxi; on foot (a long walk) or by foot from the top of the road, which is a 5 minute trot down the winding path.